Not just Merger Monday but Private Equity fueled Merger Monday with Cerberus taking over $DCP. 2006 anyone? 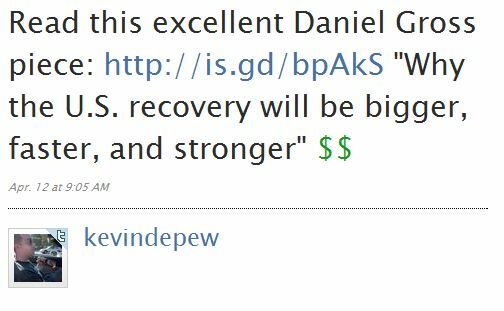 @kevindepew recommends reading this article on how strong the recovery will be. Normally articles like this are good contrarian signs but not when there is still a large, mainstream, bearish contingent out there denouncing it. The stream is buzzing this morning with the news that $PALM may be putting itself up for sale. And everyone is speculating on potential suitors. I like @ericcwu’s idea below about Acer. A market with an M&A bid is filled with takeover rumors abound. Todays action in $TIE, $VMW, and $ITT.